The first time I heard about the video claiming “Coconut Oil is Poison”, I dismissed it as attention seeking clickbait. As the video, because of the crazy headline, gained traction we decided to clarify our stance on coconut oil. Oh, and If you click on the link to the original video, you will find it’s in German, sorry. The video follows the same outdated reasoning the AHA used when it knocked coconut oil.The AHA (American Heart Association) position didn’t merit our response. When you’re pushing processed food, vindicating sugar and have ties to questionable food companies (canola oil council), too long to list, you’re not a pillar of health advice. 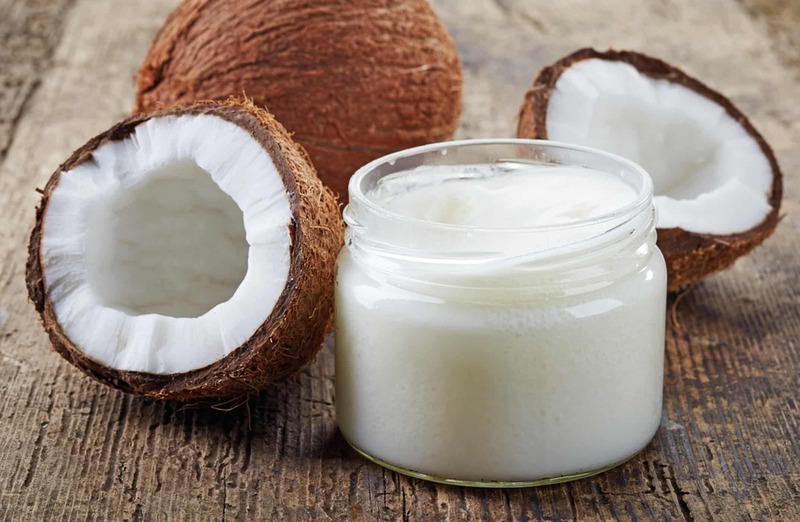 A simplistic recap of this outdated reasoning is coconut oil is a saturated fat, saturated fats clog our arteries which leads to heart disease, therefore coconut oil is poison. This is as far-fetched as saying French fries are unhealthy and potatoes are a vegetable, so therefore vegetables are unhealthy, don’t eat broccoli. This 2017 study from the BMJ found coconut oil (virgin was used) similar to olive oil, in terms of its effect on blood lipids. More importantly, this study suggested that classifying oils based on saturation (saturated, unsaturated) may be too simplistic (I’ll save the fact that the saturated fat/heart disease connection was never a solid one for a later post).The authors suggest a more nuanced/individualized approach to evaluating dietary fats. *Please note, we have multiple references for each of these areas, just providing a link or example. Coconut oil may help with body composition. Notice, I said “may” as I’m not a fan of sensationalistic claims. Coconut oil seems to increase HDL (“good” cholesterol). The reasoning for this has to do with lauric acid in coconut oil. Coconut oil is unique, in that it’s 50% lauric acid. Lauric acid seems to raise HDL more than other saturated fats. It’s rare for a fat to have this much lauric acid. To summarize this reasoning, the development of Alzheimer’s has been linked to oxidative stress. Research has shown antioxidant-rich, natural diets may protect against Alzheimer’s Coconut oil has a high concentration of the phytochemicals which may be able to reduce these stressors, or their toxicity. Coconut oil is beneficial for your immune system. If you want to talk poison, and aren’t seeking info on cyanide or arsenic, I’d look at sugar and plant oils such as canola and soy (high in omega 6’s and when heated oxidize and produce carcinogenic chemicals). I’d specifically focus the inflammation they cause. Inflammation is at the root of every disease state from Alzheimer’s to cancer. Fat from avocados, nuts, seeds, coconut and olives should be a part of a healthy diet. When you hear “inflammatory” nutrition headlines, look or ask for the research (proof), look at who is funding research or backing the organization or researcher and most importantly, use common sense. Loved this Lauren. Coconut oil has become an important (albeit small) part of my food lifestyle especially when I go dairy free (LOVE it in my coffee) and I hated reading all the negativity. So thanks for reaffirming. It’s so refreshing to know I can count on you and Carolyn for my food truths! Thanks for your comment Lisa. I think the name of the game is nuance. Very rarely is a food, in unlimited quantities, 100% healthy or 100% unhealthy. It’s often how we use a food and the version or quality of that ingredient. Grass fed beef and conventional? Completely different nutritionally and yet studies on meat will lump them together. Continue to enjoy your coconut coffee and let us know if there’s any headline or food confusing you, happy to provide “food truths”. I use Coconut Oil in all cooking applications apart from Boiling and it is great for my new stone chip lined cookware. I found recently through a MD in New York USA that Coconut Oil is good for controlling Candida Fungus which i have suffered from. Apparently the research shows that the Lauric Acid bores a hole in the fungus cells causing death to the cells. It seems to be working. I take a desert spoon each morning with a probiotic and Cod Liver Oil and these 2 on their own did not produce the results i get with all 3. My Candida Symptoms were itchy toes and fungus affected toenails. The itch has gone and the toenails are also getting Clove Oil as the doctor recommended. I have been on this regime for 2 months. Diet has also been changed to minimize Sugars. I have noticed that when industry feels threatened, it will use some obscure scientist to do their publicity bidding.